That Will Make Your Jaw Drop! 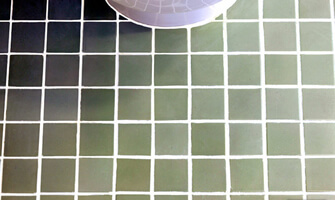 If your tile and grout lines look like this, you need our signature tile cleaning to make them sparkle like new again! Watch how our high-pressured tile spinner transforms this greasy restaurant's tile & grout! Tile Inspection - Check for damage and areas of concern. Tile Testing - Determine tile & grout type. Test for existing sealant. Dry Soil Removal - With a vacuum or broom, remove dry soil before cleaning. Protection of Sensitive Objects - Ensure cleaning agents won't damage surroundings. Soil Emulsification - Apply appropriate cleaning agents to loosen soil(s). Agitation - With a series of brushes, work agents into the tile and grout. Steam Cleaning - Blast out soil from deep within grout lines. Post Inspection - Ensure maximum cleaning results, treat stubborn stains. Seal Your Grout Lines Today! 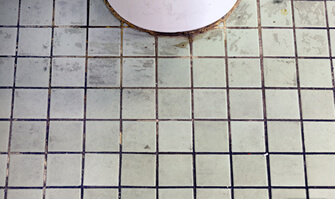 Even with routine cleaning and maintenance, grout lines can get ugly over time. 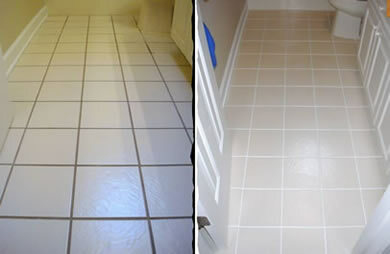 Having your grout lines sealed with a professional-grade sealant immediately after installation is your best bet at keeping the lines looking great for years. But what if you didn't have sealant applied, or what if it has worn off? No problem! We have 87 different colors of grout seal for you to choose from. Or, we can apply a clear "impregnating" sealer which will penetrate your grout lines and allow for the same level of protection as our ColorClad system. Our wide range of colors allow you to change the color of your grout to match the decor of any room! 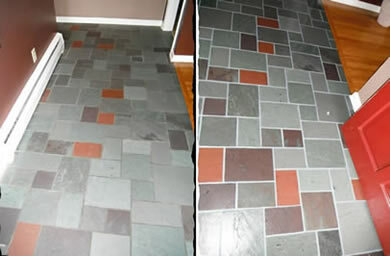 With our system, you won't have to select a grout color based on a tiny, computer-generated color swatch. Many times, paper swatches are inaccurate because it's impossible to correctly match the shades of colors produced by actual colors. Our handy "stick book" will help you confidently choose a grout sealing color that will make your floor look great! Each stick has actual grout sealant applied to it so you can see exactly what your floor will look like. Just place several sticks in the grout lines to compare them side by side until you narrow it down to your favorite one. 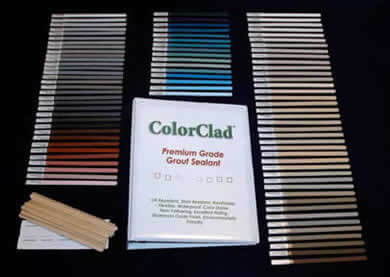 *ColorClad grout sealant is rated to last 25 years. Actual applications may last more or less than 25 years based on daily conditions and maintenance routines.